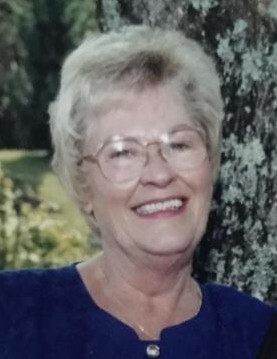 Barbara Ann Adkins Collins, 79 of Clearfield, passed away Monday July 9, 2018 at the St. Claire Regional Medical Center in Morehead after a brief illness. She was born March 11, 1939 in Haldeman, Kentucky to the late John R. and Delphia Lands Adkins. Besides her parents she was preceded in death by two brothers, John Paul Adkins and Donald Lee Adkins. Three sisters, Ina Clo Templeman, Evelyn Ellis and Margaret Louise Adkins. Barb was retired from Morehead State University where she worked in the food service lab and was manager of the Cornucopia Room. She was a former partner in the Goodie Hutt at Trademore Shopping Center and the Country Inn Restaurant at Cave Run Lake. She enjoyed cooking, spending time with her family and adored and loved her grandchildren. Barb enjoyed playing bingo, the lottery and working word search books. She loved Elvis Presley and was one of his greatest fans. Survivors include her son Alan Collins and his wife Mica of Morehead, her daughter, Paula Collins of Clearfield. Her former husband, Ray Collins of Clearfield. One brother, Larry Adkins of Morehead. Two sisters, Jean Barker and Wanda Marshall both of Morehead. Three grandchildren, Tiffany Collins, Tessa Collins and Trey Collins all of Morehead. Also, several nieces, nephews and many other relatives and friends. Funeral services will be conducted 11:00 A.M. Thursday in the chapel of the Michael R. Gray Funeral Home in Morehead with Pastor Andy Lands officiating. Burial will follow in the Bowen Chapel Cemetery in Carter County. Visitation at the Michael R. Gray Funeral Home in Morehead is after 5:00 P.M. Wednesday. Pall bearers will be Alan Collins, Trey Collins, Chris Adkins, Jacob Adkins, Randy Barker, Matt Adkins, Ronnie Cooley and Chris Davis.